This is the first year that I am attempting to cook the main course for Thanksgiving dinner. In the past I made the side dishes and dessert while hubby handled the bird. Now I am stepping up to the plate, literally. I don't want to make the usual suspect so I started looking for alternatives to turkey at my local Lucky Supermarket. I have been carefully planning the menu from the bottom up. I have roasted sweet potatoes, cranberry sauce, sauteed green beans, cornbread stuffing, and yeast rolls. Everything will be homemade. The only thing missing from my menu was the main dish. After browsing the meat case, I settled on the cross rib roast and pick up one to practice on. This is a HUGE savings for larger families. For me, it means I can get a backup meat for free just in case I botch the first one! But hopefully that won't happen. That's why I am doing a trial run now. 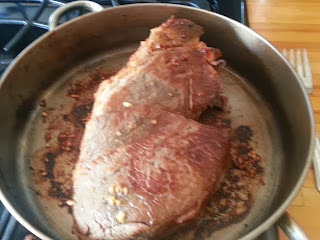 The next step is to sear the meat on all sides in a pan on high heat. Place it in an oven bag with onions, carrots and fingerling potatoes. 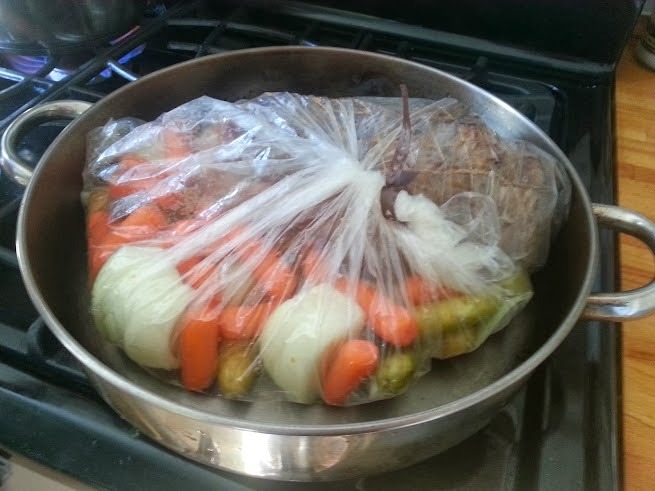 Put the bag in a roasting pan in the oven on 200 degrees until it reaches an internal temperature of 140 degrees (medium). 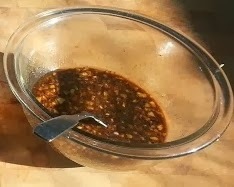 This will take several hours because the slow food method is all about not rushing. My 4 lb cross rib roast took 3.5 hours. It turned out lovely! Crispy on the outside, juicy on the inside. The first slices were medium well and the inside slices were medium. You can definitely cook it for less time if you prefer your roast rarer (to an internal temp of 125-130 degrees). What are you making for Thanksgiving? The traditional turkey or will you opt for an alternative? Check out the Lucky Supermarket Fresh Finds Pinterest Board for inspiration! It is just my husband and myself so I won't be cooking a turkey. I haven't decided yet what I'm going to do. Probably venison since the deer is at the butcher and I'll have a LOT of cuts from which to choose. That is an awesome deal on Turkey!! I am so jealous!! Our grocery stores aren't doing that. We will be doing the traditional turkey for Thanksgiving. I love how easy this Rib Roast is, since we often have multiple Thanksgivings to hit all the family members. This year we have 3, one including an all day drive to Oregon, but I'm sure there will be turkey. At my moms's we are 'going out' so who knows what we'll find! Looks yummy, can I come over for dinner? This sounds really good. I like when we have more than just turkey as an option. Wow that looks amazing! I'm not familiar with that cut so I'll have to check it out. If it can go in the crock pot even better! 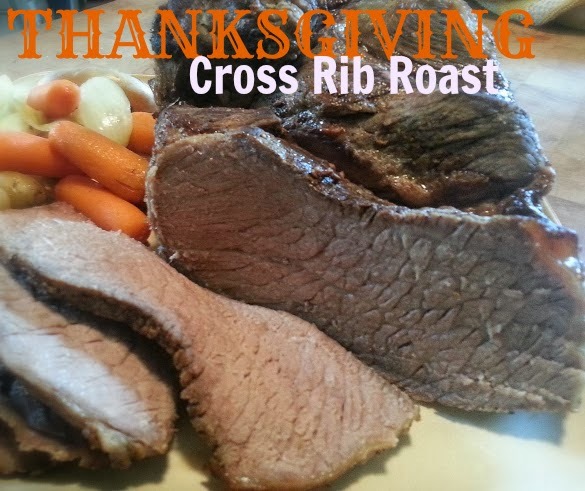 I did a post on alternatives to turkey and I didn't think of a rib roast. Great choice. my dad would love to have this meal! I'm not a meat person usually, but this looks yummy. I like the sauce you chose also. A nice variation from the usual turkey! Score the Best Fashion Discounts at Modnique!